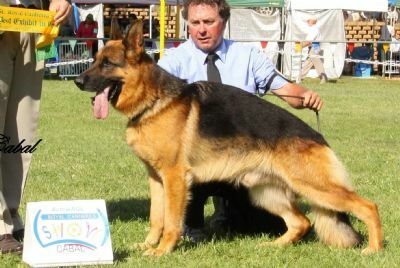 Fin obtains the Challenge required to gain his SUPREME GRAND CHAMPION TITLE 7th July 2012. Fin has achieved many Specialist Class wins, multiple Specialist & All Breed classes In Show, Best In Groups & BEST EXHIBIT IN SHOW. He has now been awarded the grading of EXCELLENT at his first outing in the Open Dog class. 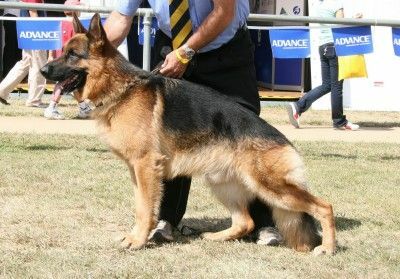 Fin has been awarded Best of Breed at Sydney Royal AGAIN in 2009. Three years in a row & not yet 4 years old !!! 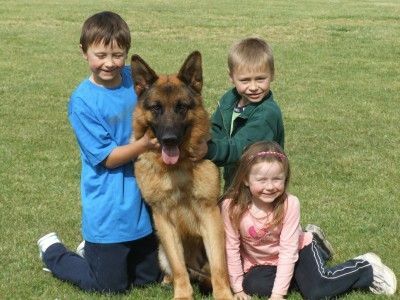 Fin also won Best of Breed at the 2007, 2008 & 2009 Sydney Royal & 2009 Canberra Royal. See photo above by Cabal. Age 3 years 9 months. Large, strong, substantial dog of very good type & very good height to length proportions. Strong masculine head. High wither, firm back. Slightly short but very well laid croup. Very good fore & hindquarter angulation where the upper arm while of very good length is just slightly steep. Very good chest proportions. Steps correct front & rear, during movement shows very good ground covering gait with balanced powerful reach & drive while maintaining a very good topline. Several young progeny from Fin's first few litters have won many classes In Groups, classes In Show, Challenges & multiple Specialist classes. * Glenbala Ivory Coast 'A' 'Z' from Fin's first litter has now been Breed Surveyed Class 1.